Well, to a different Facebook page anyway. We invite everyone who has liked the old Roastmaster page to like our new page – Roastmaster Community instead. Well… a while back, Facebook decided to do away with what used to be called “App Pages” (like ours), and moved instead to a hybrid “App/Fan” page. Now, this is a great thing for many reasons. One of my favorites is that notifications now seem to work correctly, so we know when someone posts. They never worked correctly on the old page (precisely the reason we missed the migration cutoff). As a result, we let it slide, and our Facebook presences was weak. It’s time to fix this, and start a much more involved Facebook presence. I hope you’ll consider liking the new page – I plan to keep it up to date with the latest Roastmaster news, documentation, videos and more. 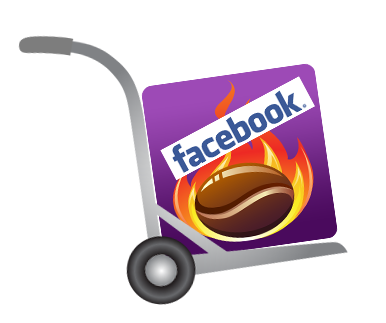 The FrogPad forum, website and email are still the best way to reach us if you have questions or need help, but Facebook is a great place to talk, exchange ideas and keep up with what’s going on in our roasting world.